More than the Wizard: the world of Oz expands with new movie “I used to walk thru Oz Park on my way to school,” says Ryan Carroll, one third of production company Summertime Entertainment, which is behind the new animated feature. “I always thought [they were] a good series of books and I always thought it’d be a great animated story.” So along with Bonne Radford (who helped found Dreamworks Animation,) Carroll and his brother, both Rogers Park-bred and Mather High School graduates with deep roots in Chicago’s theater community, got to work. About seven years ago they contacted Roger S. Baum, the great grandson. The younger Baum had taken up great grand-dad’s mantle, and at the age of 40 had started fleshing out the kingdom of Oz with more books. To date he’s written 21 books to accompany the elder Baum’s 62. This Oz trip hits the mark The Rainbow Company Youth Theatre production of “Ozma of Oz: A Tale of Time,” a stage adaption of the third Oz novel by L. Frank Baum opens on a minimalist set that consists of a stack of rainbow-colored suitcases, a wardrobe shaped box, a bucket and mop and chains hanging from the risers. A child seated behind me asked, “What is the bucket for? What are the chains for?” The child’s father answered wisely, “I don’t know, but we’ll find out.” We immediately find out the purpose of the bucket when sailors Sam and Steve (robustly played by Severina Nina Mijan and Mason Alexander Stanley) begin to swab the deck of a ship on which Dorothy and her Uncle Henry are sailing to Australia. Dorothy is now 13 with a teenaged-sized attitude. She would just as soon the ship turn right around and head back in the general direction of Kansas and the high school football hero she left behind. Morgan Johnson plays Dorothy with a believable adolescent headstrongness. Her simple blue dress and red slippers evoke the blue gingham and ruby slippers of the younger Dorothy. Fairy tales come to life at Poetry Center The 75th anniversary of “The Wizard of Oz” will be celebrated with a Night of Fairy Tales today at the University of Arizona Poetry Center. Fairy Tale Review editorial staff members read through the 14-part series and selected seven excerpts they believed fit certain categories, such as studies in economics, gender, astrophysics and science. In addition to Baum readings, the Greasy Light Orchestra will play throughout the night and a compilation of clips from contemporary videos that follow with the “Oz” theme will be shown as well. Special guest Timothy Schaffert will read a passage from one of his latest books, “The Swan Gondola.” His book was greatly influenced by “The Wizard of Oz” and is a masterful example of contemporary fairy-tale writing. 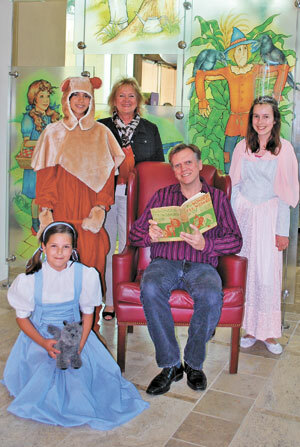 The Wizard of Oz Running April 26 through June 21 Fridays and Saturdays at 11:00 A.M. Doors Open 1/2 hour prior to Curtain. This musical was written by Robert Brock, Artistic Director, and is performed with marionettes he created. All Tickets are $10.00. We accept CASH or CHECKS, NO CREDIT CARDS. Call 717-394-8398 for Reservations. Tour the John Durang Puppet Museum or take a back stage tour lead by Mr. Brock before the performance. The Hole in the Wall Theatre was founded in 1990 by Robert Brock. The 60-seat Victorian theatre is located at 126 N. Water Street in downtown Lancaster, Pennsylvania. Hole in the Wall became a nonprofit corporation in 2001. The theatre is now managed by a volunteer board of directors who contract with Robert Brock to serve as Artistic Director. Performances are given on most weekends in the resident theatre. The theatre seats came from the Fulton Opera House in 1997. They were purchased at an auction held prior to the Fulton renovation. There is a gift shop and museum in this historic property (circa 1850s), which are open before performances. ‘Oz’ grandson ready to welcome ‘Dorothy’s Return” to big screen Many Times readers are familiar with Roger Baum, the great-grandson of L. Frank Baum, author of “The Wizard of Oz.” For years, Roger, now 75, remained a favorite celebrity guest each year at the annual Wizard of Oz Festival in Chesterton. To help promote the new film, the public is invited to join Dorothy, Toto, and their new friend, Wiser the Owl, from the upcoming 3D animated feature, as they bring the magical world of Oz to kids across the U.S. on the “Legends of Oz Express” with an event in the Chicago burbs from 12:30 to 5 p.m. Sunday, May 4 at Kohl Children’s Museum, 2100 Patriot Blvd, in Glenview, Ill. as part of a nine-city tour. Families will follow their hearts at the Tin Man’s Friendship Club by making friendship pins, test their brains in the Scarecrow’s Workshop with arts and crafts, and show their courage by performing on the Lion’s “Mane” stage. They will also hang out in cozy “Candy County” and hear the story that inspired the film. To help even more children experience the magic of books, imagination, and the wonder of Oz, guests are encouraged to bring a new book to be donated to Lurie Children’s Hospital of Chicago. FYI: legendsofozworld.com. Read a Gorgeous and Twisted Webcomic Retelling Of The Wizard Of Oz In The Black Brick Road of Oz, an amnesiac girl who thinks she’s Dorothy Gale finds herself in an Oz populated by flesh-hungry witches, zombie scarecrows, and a tin woodman mourning more than the loss of his body. Xamag’s webcomic uses Baum’s Oz as the basis for her story, with the lost girl whose house crushes the Wicked Witch of the West and encounters a brain-deficient scarecrow and a woodman whose body has been replaced with tin on her journey. But unlike Gregory Maguire’s novel Wicked, which purports to be the “true” story of Oz, Xamag takes pieces of Oz and rearranges them into a rather different fantasy tale. OZ CON Poster Contest Coronado The Coronado Cultural Arts Commission and MainStreet Ltd. invite Coronado students in grades 9-12 in public, private, and home schools to be part of this summer’s OZ CON by creating an original poster design for the OZ CON Poster Contest. Winning posters (first, second and third place) as well as the other entries will be available to Coronado businesses to display in windows on Orange Avenue and throughout the downtown area. It will be an opportunity to showcase your creativity on the occasion of a very exciting celebration. Off to see the Wizard Crown Center in downtown Kansas City will be teeming with Dorothy, Toto and their friends from Oz next week. A nine-city tour promoting the upcoming animated “Legends of Oz: Dorothy’s Return” will stop outside the shopping complex from 2:30 to 5:30 p.m. Wednesday. Activities include crafts, game stations and the story that inspired the new movie, by Roger Stanton Baum, great-grandson of “Oz” creator L. Frank Baum. The movie arrives May 9. Meanwhile, Crown Center’s own exhibit, “75 Years of Oz, Oh My,” continues through May 4. And Starlight Theatre will present the stage version June 10-15. 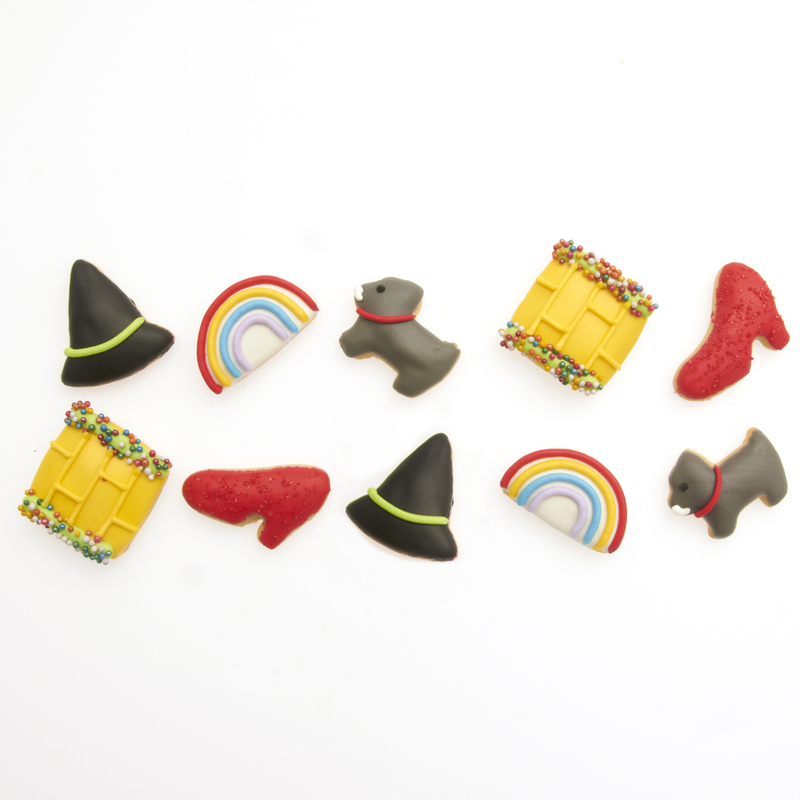 Dylan’s Candy Bar Celebrates the 75th Anniversary of the Wizard of Oz The collection features special edition items of nostalgic, character-themed confections to celebrate the film, such as chocolate bars created for Dorothy, the Scarecrow, Cowardly Lion and Tin Man, and hand-decorated cookies shaped like Toto and the classic Wizard of Oz rainbow. There are also lollipops fashioned as Dorothy’s magical ruby slippers and the also magical (but slightly maniacal) villain, the Wicked Witch. In addition to the candy collection launch, the two companies have partnered to create a larger-than-life candy sculpture out of Jelly Belly ® jelly beans. The sculpture will be unveiled at the Original Farmer’s Market in Los Angeles, CA, on May 4, 2014. Wizard of Oz Fest to Enchant Fans in Orland Park, IL The festival will feature special guest speaker and Master of Ceremonies, John Fricke. Fricke is the spokesman for Warner Bros. as the host of the Hollywood re-premiere of the Wizard of Oz film on its 75th anniversary. He is a two-time Emmy Award winner as co-producer and co-writer of programs on A&E and PBS-TV. Also a featured special guest is Roger S. Baum, the great-grandson of L. Frank Baum who is the author of the original Wonderful Wizard of Oz book. Roger is a bestselling children’s author whose 2013 book, Legends of Oz: Dorothy’s return, will be released as a movie in theaters nationwide May 2014. In addition to Fricke and Baum, many other special guests will be announced as the event draws near. 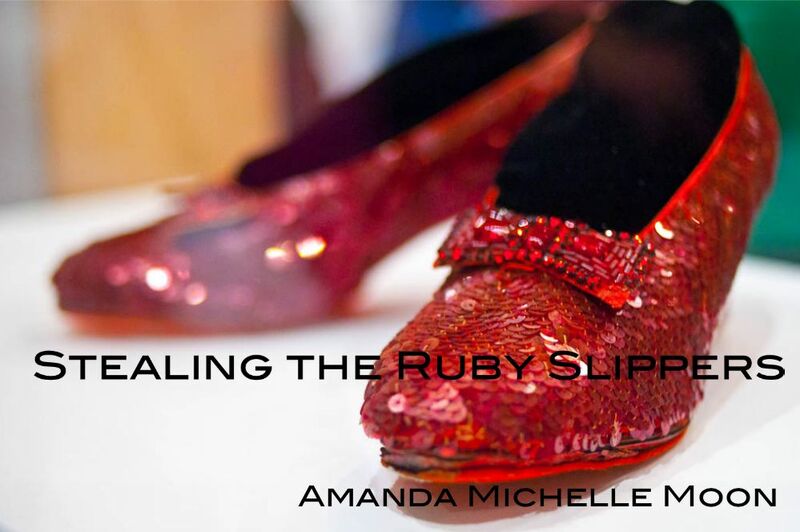 Stealing the Ruby Slippers Jared Canning is out of money and out of time. His gambling debts are due, and his creditors are not the kind that grant extensions. An old friend offers him a job: break into a small town museum, steal a pair Ruby Slippers Judy Garland wore in the Wizard of Oz, and share the profits when they are sold to a buyer in New Orleans. On August 25, 2005, Jared pulls off the heist perfectly. The next day, Jared watches Hurricane Katrina slam into New Orleans. His buyer, and his money, are gone. Oz museum loses lease, finds new home, but needs money, help to reopen in time for fest The All Things Oz Museum in Chittenango lost its lease and now has to move into its new quarters abruptly, leaving it in a financial crunch, officials say. Museum officials are scrambling to raise enough money to get work completed on the new building at 219 Genesee St. in Chittenango, next door to its former museum location. They need about $20,000 in order to get the building ready for Oz-Stravaganza 2014 set for June 6 to 8. Anyone who wants to donate can mail a check to to All Things Oz, P. O Box 456, Chittenango, NY 13037. “Wizard of Oz” Flower Show Preview Party – March 2014 The preview party for the second annual Flower Show of the North Carolina State Florists Association was held at the Weymouth Center on Wednesday, March 26. With the theme of “Wizard of Oz,” the floral designers decorated the rooms and grounds of the Weymouth Center in a whimsical fashion with beautiful and imaginative floral arrangements and backdrops. UK website launched for May film Legends of Oz: Dorothy’s Return The Royal Blog of Oz, the “Wizard of Oz”/L. 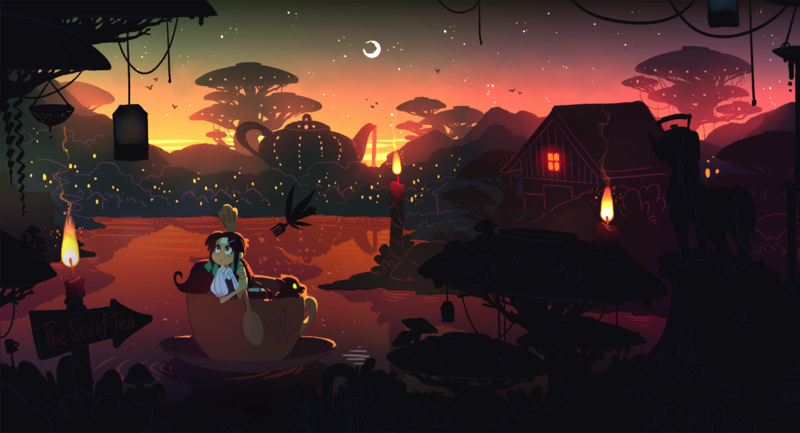 Frank Baum blog of Dorothy and Ozma Productions, owned by Jared Davis and others in the Oz community recently reported that the United Kingdom website for Legends of Oz: Dorothy’s Return has launched. With the launch of the website, came some new stills and clips. 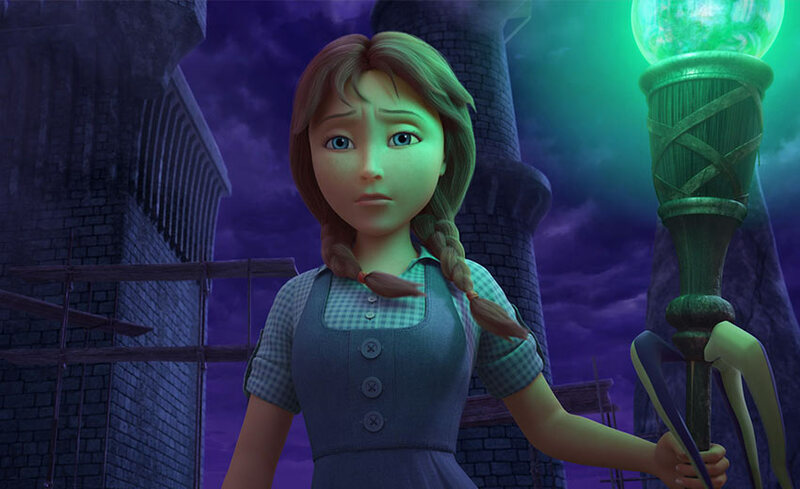 Legends of Oz: Dorothy’s Return will be opening in the United States this May 9, and in the UK on May 23.